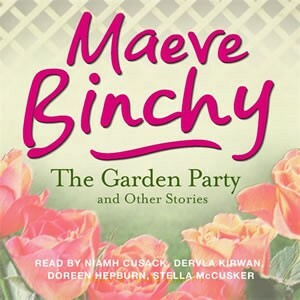 A collection of short stories from the Archives read for Radio 4, by best-selling author Maeve Binchy. Stories included are:”The Garden Party” – Helen looked down at Mrs Kennedy’s garden. It was cheerfully coloured yet ordered like Mrs Kennedy. But first impressions are not always reliable. “The Special Sale” – Yvonne’s good deed leads to a romantic encounter the day after Christmas. “Dolly’s Mother” – If you were square and solid and without colour and grace it was sometimes easy to hate Mother.